Forest Bamp is the dj project of Bam Verdugo. He is a young dj based in Madrid, Spain. 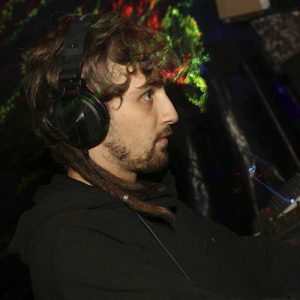 After going to some electronic underground parties, he got introduce in the psytrance scene, and felt in love with it, specially with forest psytrance. Since that, he started to mix forest psytrance around Spain, and Europe, spreading the vibe. In his sets, you can find powerfull baselines, deep atmospheres and eclectic psychedelics sounds. He’s personal project is Ritual, a Madrid based collective that organizes parties, focussed in forest and dark music, trying to promote fresh psychedelic sounds from global underground scene.